Before I list some resources online for you regarding various idols and others’ suggestions of how to let them go, I just want to give you a list of scripture regarding idols. Let God work in your heart through His word. the idol you didn’t know you had [identify them]. Read the introduction and my story, as part of this series first, if you wish. As part of this series about idolatry, I want to do what I can to help you identify the idols in your life. I think Christians should really make this a regular process, because I think new idols will quickly take the place of old idols, and that as we change and go through life, our idols will change, too. I am not an expert, and I still have lots to do in my own life regarding idolatry. But we can do this together. First, I think we need to seek God’s help. I believe He wants to reveal our idols to us because He is a jealous God and wants our full worship. So start by praying that God would reveal to you the idols you’ve carried for years, or the idols plaguing your life currently. Seek His guidance. Seek His whispering regarding things in your life. Open your heart to what He wants to show you! One way requires that we look at our imagination. Archbishop William Temple once said, “Your religion is what you do with your solitude.” In other words, the true god of your heart is what your thoughts effortlessly go to when there is nothing else demanding your attention. What do you enjoy day-dreaming about? What is it that occupies your mind when you have nothing else to think about? Do you develop potential scenarios about career advancement? Or material goods such as a dream home? Or a relationship with a particular person? One or two day dreams do not indicate idolatry. 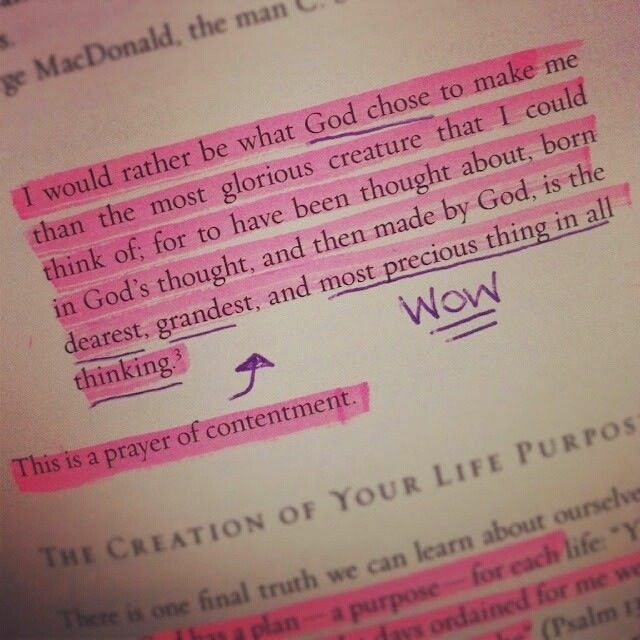 Ask rather, what do you habitually think about to get joy and comfort in the privacy of your heart? Another way to discern your heart’s true love is to look at how you spend your money. Jesus said, “Where your treasure is, there is your heart also.” (Matt 6:21) Your money flows most effortlessly toward your heart’s greatest love. In fact, the mark of an idol is that you spend too much money on it, and you must try to exercise self-control constantly. As St Paul has written, if God and his grace is the thing in the world you love most, you will give your money away to ministry, charity, and the poor in astonishing amounts (2 Cor 8:7-9). For most of us, however, we tend to over spend on clothing, or on our children, or on status symbols such as homes and cars. This reveals our idols. A third way to discern idols works best for those who have professed a faith in God. You may regularly go to a place of worship where you are a member. You may have a full, devout set of doctrinal beliefs. You may be trying very hard to believe and obey God. However, what is your real, daily functional salvation? 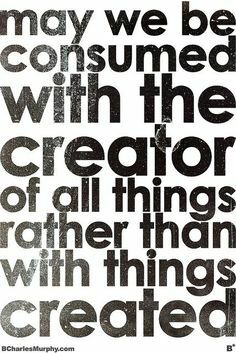 What are you really living for, what is your real—not just your professed—God? A good way to discern this is how you respond to unanswered prayers and frustrated hopes. If you ask for something that you don’t get, you may become sad and disappointed. Then you go on. Hey, life’s not over. Those are not your functional masters. But when you pray and work for something and you don’t get it and you respond with explosive anger or deep despair, then you may have found your real god. Like Jonah, you become angry enough to die. A final test is for anyone to use. Look at your most uncontrollable emotions. Just as a fisherman looking for fish knows to go where the water is roiling, look for your idols at the bottom of painful emotions, especially those that never seem to lift and that drive you to do things you know are wrong. If you are angry, ask, “Is there something here too important to me, something I am telling myself I have to have at all costs?” Do the same thing about strong fear or despair and guilt. Ask yourself “Am I so scared, because something is being threatened, which I think is a necessity when it is not? Am I so down on myself because I have lost or failed at something which I think is a necessity when it is not?” If you are over-working, driving yourself into the ground with frantic activity, ask yourself, “Do I feel that I must have this thing to be fulfilled and significant?” When you ask questions like that, when you “pull your emotions up by the roots,” as it were, sometimes you will find your idols clinging to them. What do you blog, tweet or post the most about on social networks? What do I spend excessive money on? What are the bad habits I can’t get rid of? What produces strong emotions in me? Where do I feel out of control in my life? the idol you didn’t knew you had [my story]. I started this series (read the introduction here) on idolatry because I was convicted recently about my own idols. I have been praying and considering sin in my life and really trying to seek God in the unseen sins of my life (by unseen I mean the sins I don’t even really realize ARE sins). I mean, I’m very aware of when I lie, or am jealous of someone, or when I say something I shouldn’t have. I’m aware of what I like to think of as the obvious sins. But, I wanted to go deeper. I decided to ask God to reveal to me what are my idols, what is taking the place of Him being the main focus of my life, etc. And one thing came to mind, and hit me hard, more than any of the others that He also made me aware of. Beyond revealing to me a number of things that I’ve idolized by desiring more than Himself, He pointed out to me a struggle I’ve had for awhile that is really disrupting my seeking Him and knowing Him as much as I am able. It is the curtain in the temple. This is open and honest, this is me confessing my biggest struggle. Since I started college almost 10 years ago, I have struggled with an unhealthy relationship with food. This unhealthy relationship has led to a questionable relationship with fitness. My freshman year of college I went through a lot of major changes in my life and I turned to fitness for the first time. Somewhere along the past 10 years I guess I started turning to food, too. I don’t know how it happened, I don’t know when it happened. I do know the night before my parents came to see me for my 21st birthday I had the urge to purge. I never did, but I remember being alone in my dorm room wishing I could do something to get rid of the food I had eaten for dinner. It was a terrible feeling and I wasn’t even sure why I felt that way. I have never purged of food nor have I really starved myself of food. What I have done, however, is work out a bit longer the day after eating too much or deciding to work out only because of the food I had eaten earlier in the day. What I’ve also done is think about food all. day. long. I mean, from the time I get up and think about what to eat breakfast to the time I go to bed and make myself brush my teeth so I won’t eat something else. To keep the story short, it has been a battle since that time. For years. And it is something I have sought help with, but have yet to find any relief. What really started changing my motivation behind eating and behind working out was to check my motives. God starting hitting my heart quietly with His truth. The truth that I had been making food and my body an idol in my life. That hit me hard – do not worry about what you eat. That means, do not think about it, do not plan excessively, do not dwell on it, do not use it to replace boredom. And likewise – do not worry about your body – whether it is too fat or to thin, whether it is gorgeous or not (because who really determines that, anyway?). No, do not worry, focus on today. Focus on the Word of the Lord. It’s tricky because we must eat and because physical exercise is good for you. But I had to check my motives. Why was I working out for 2 hours today? Why was I eating a fourth cookie at 2om when I had nothing else to do? 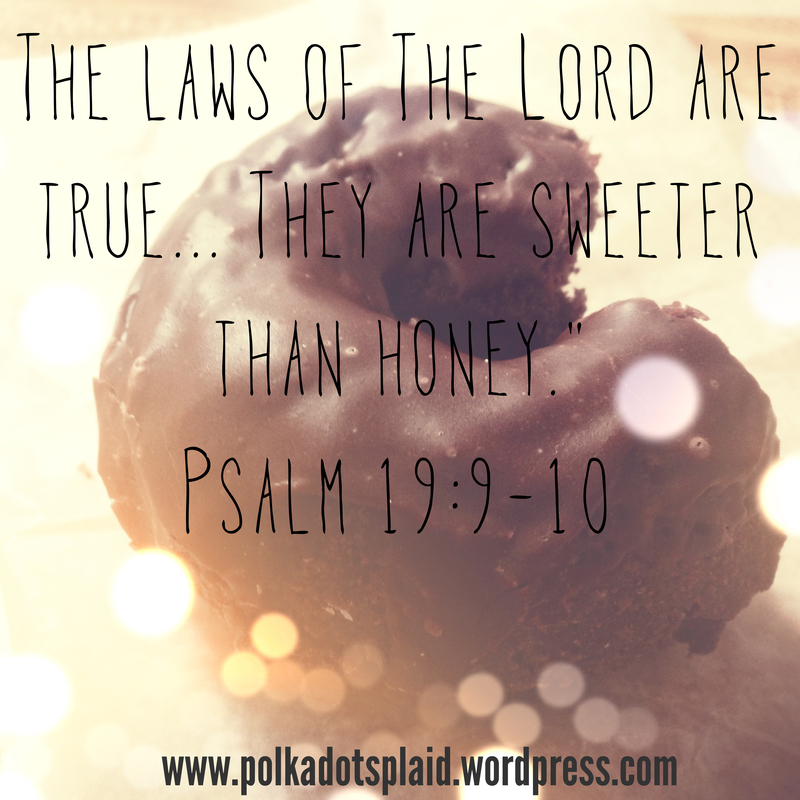 I had been desiring food more than I had been desiring God, His Word, and food for my soul. So, to summarize: I was making food an idol not only by thinking about it all day, worrying about it and how it would make my body look, but by also then worrying what people would think of my body, finding my worth in the eyes of man. This is where I am. God has revealed to me that this is not just an annoying part of my life, it is an idol and it is a sin. It is currently the biggest hinderance to my relationship with Him. I am excited about where my life will go from here. It has been a long journey, with this relationship with food, but I think I finally am walking down the long path towards redemption and freedom. It will continue to be a long journey, but now I have a different motivation – Jesus Christ. This is the start of a series I felt was really important. I think we have a problem in modern day Christianity and I want to address it. I have spent a lot of time thinking, reading, and praying about the topic, trying to figure out how best to approach it. So I’m going to be bold, I’m going to ask you to seek God, and I’m going to pray that our heart is softened to the whispers God is speaking to you. I’m going to talk to you about idolatry. I’m going to be very candid with you. I recently had an idol revealed. I have been praying and considering sin in my life and really trying to seek God in the unseen sins of my life (by unseen I mean the sins I don’t even really realize ARE sins). There are things in my life that I KNOW are sins, things that are blatant and obvious. But then, there are parts of my life I feel uncomfortable about, things I wish I could change but struggle with, but things that may not look like sin to my neighbor. So, I will share with you the idol God revealed to me in my life as just that, an idol. Then, I will list some common idols in modern-day Christianity. 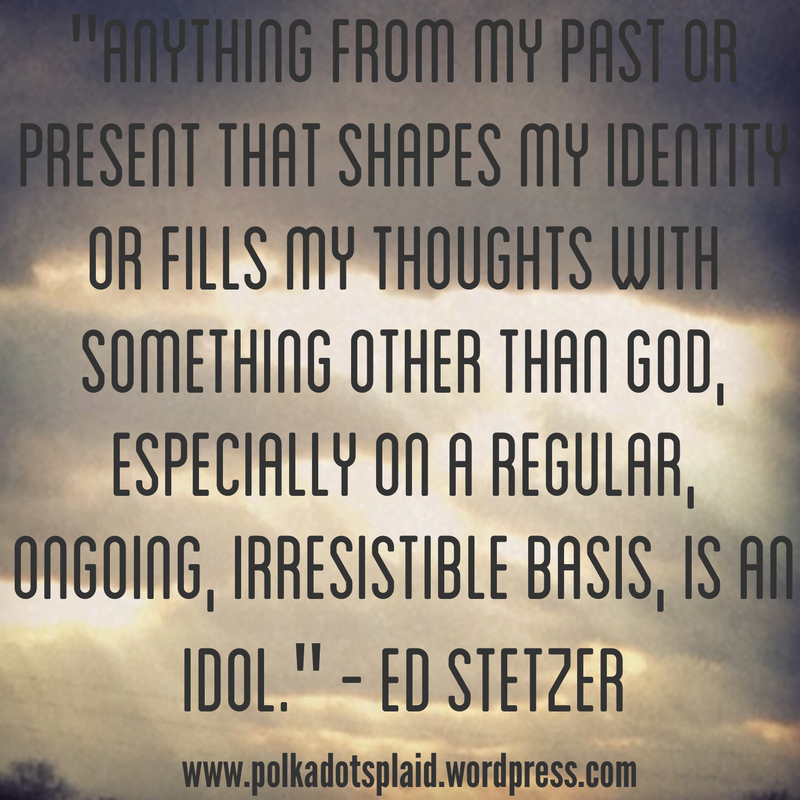 After we review what some idols are today, I want to explore what scripture says about idolatry. Finally, I will do my best to provide resources for releasing your idols and working with God to remove them from your life. This is a journey that will be tough. Today, pray for God to open your eyes and soften your heart. Then thank Him for His grace and mercy, and thank Him today for what He will reveal to you tomorrow.